Add our payment button to your website with Website Payment Standard. It's as simple as copy and paste. Accept international and local payments. Your customers can pay with international credit cards as well as local payment systems (whether or not they use PayPal). 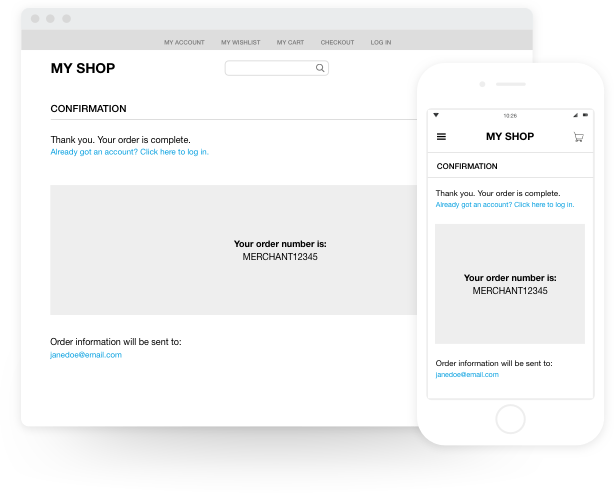 Reach buyers worldwide with checkout pages available in more than 15 languages. 4 good reasons to choose Website Payment Standard. Pay only for payments received. There’s no monthly fee and it won’t cost anything to close your account. Add PayPal payment buttons simply by copying and pasting a few lines of code. 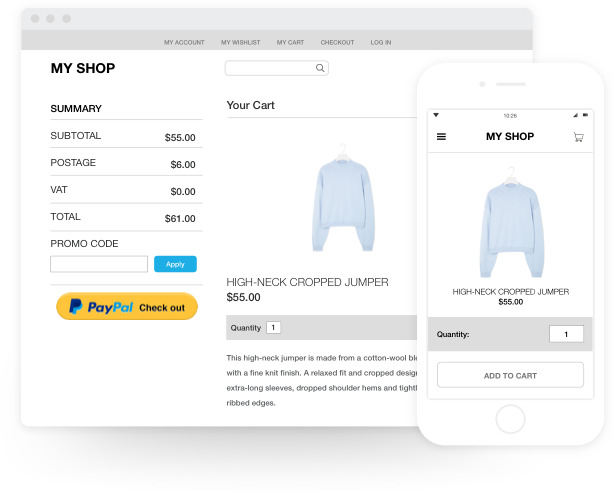 We’re already integrated with many shopping carts. Get mobile-optimized checkout pages, making links and images more visible for easier navigation on smartphones and tablets. Benefit from our advanced encryption and dedicated security platform, helping protect you from fraudulent transactions. Here’s how it works for your customers. Your customers visit your website and select what they want to buy. They choose PayPal as their payment method. They log in to their PayPal account via a pop-up window. They return to your website, review their order and confirm their purchases. Here’s a step-by-step guide to integration. Go to your account and choose a button type. Add a name, description and price to the item. Generate an HTML code to copy. Paste the code into your website. Open your business to millions of PayPal active shoppers around the world. We're available in 202 countries and 25 currencies. Currency conversion fees may apply. Get paid on your website today. How long does it take to get the payments? Just a few minutes when customers pay with credit cards or their PayPal accounts. What is PCI Compliance and do I have to worry about it? Can I do this myself or do I need a developer? 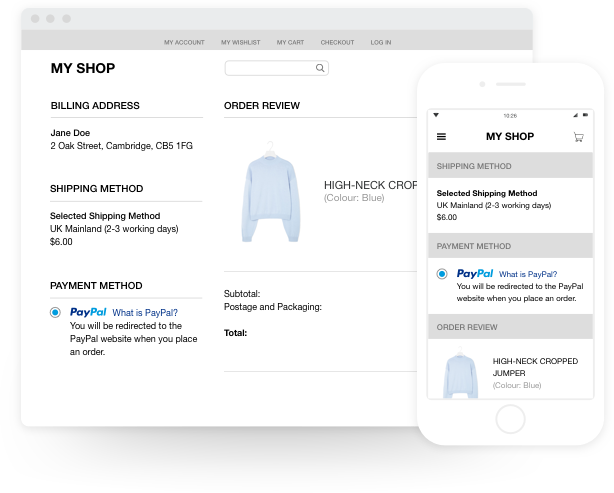 Want to add PayPal to your existing checkout? Need a simple and complete payment tool?